Thus ends “Old Debts.” It took us a long time to get to the end, but if you go back and re-read it from start to finish I think this tale holds up pretty strongly. More importantly I think TL Collins did a fantastic job with it from start to finish. So a huge THANK YOU goes out to him. 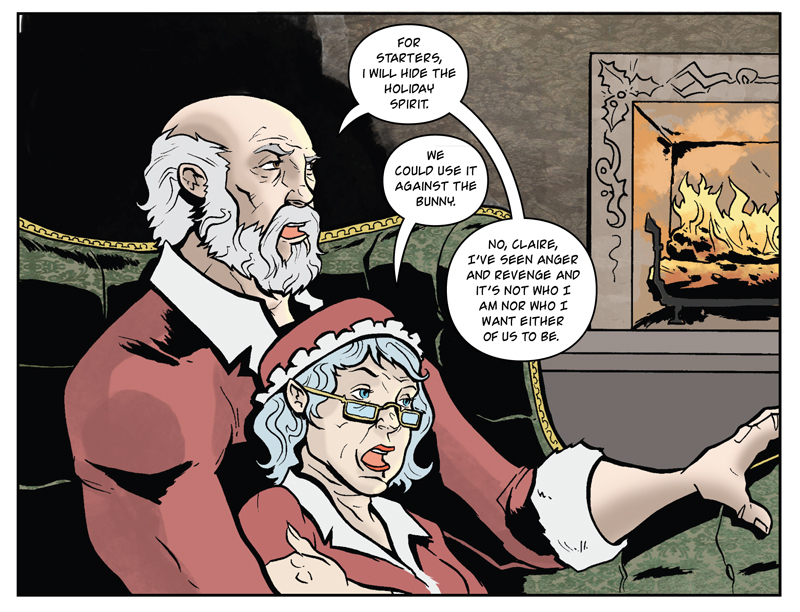 Don’t forget “Holiday Wars: Volume 1” is on Kickstarter. We are offering tons of exclusive rewards and even if you can’t pledge then you can help by spreading the word.